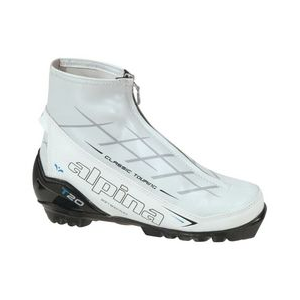 Enjoy a long day on the trail in the women's Alpina T 30 Eve cross-country ski boots. A women-specific fit, integrated external gaiters and cozy insulation offer warmth and comfort for all-day tours. 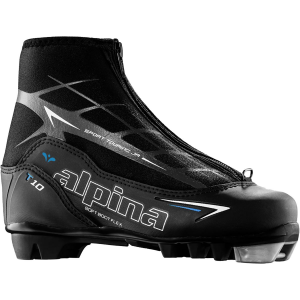 Enjoy a piping hot cup of joe at the trailhead, pull on your Alpina Women's Eve T30 Touring Boot, and then kick into long, comfortable glides across the frozen landscape. 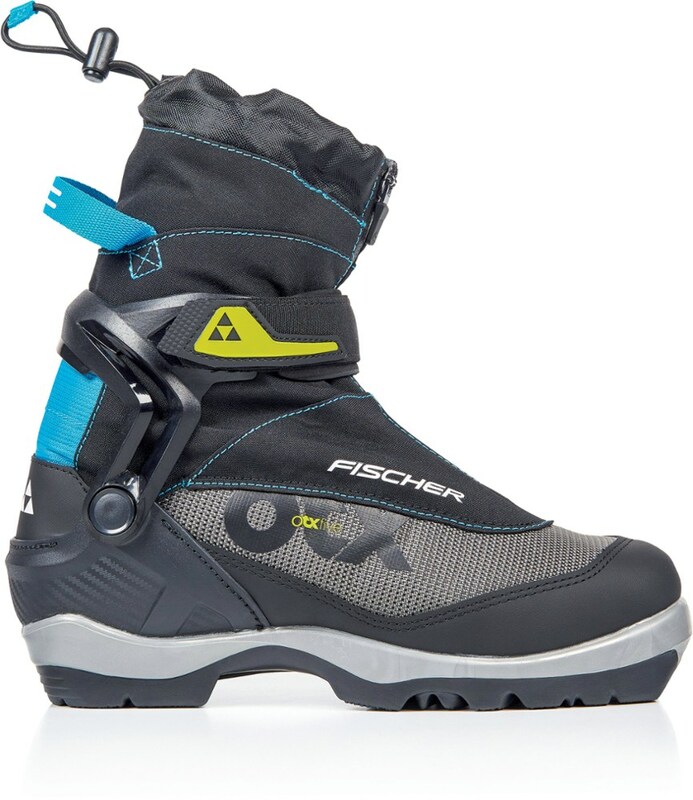 Specifically crafted for a female skier's foot, the Eve T30 women's last is designed to ensure comfort on long skis, and its insulated design ensures that your foot stays warm and comfortable on even the coldest tours. 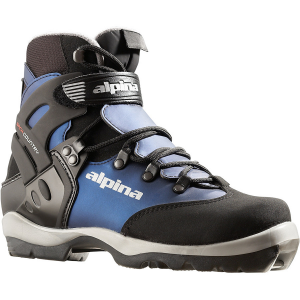 The internal lacing system makes for easy adjustments during a quick breather, and the anatomic footbed supports your arch when you're following the tracks or making your own across a snow-covered lake. 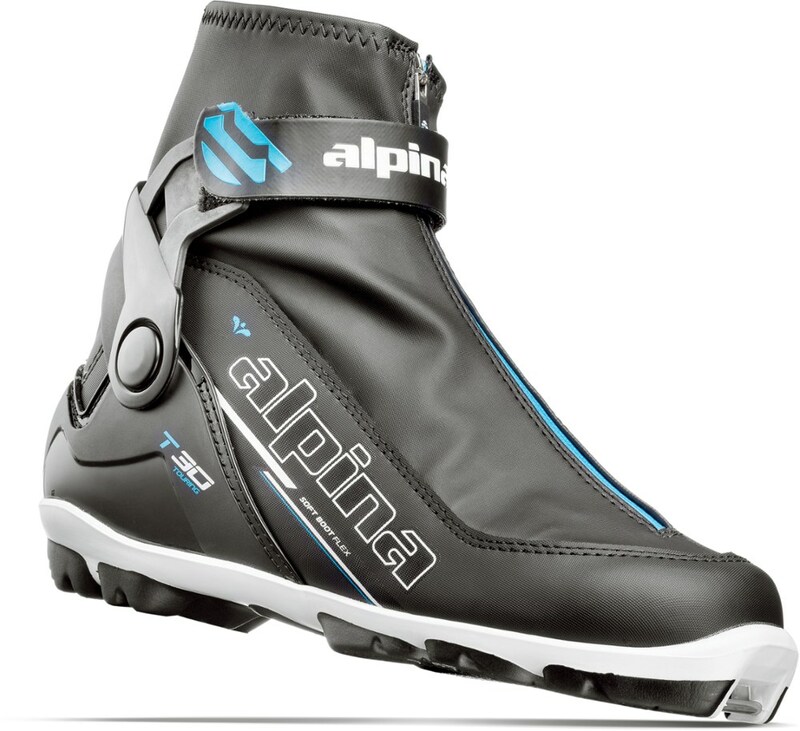 Alpina also built an elastic cuff adjustment for a snug fit and included a plastic cuff and heel counter for increased support, which decreases fatigue and keeps you feeling fresher as the miles fall away. 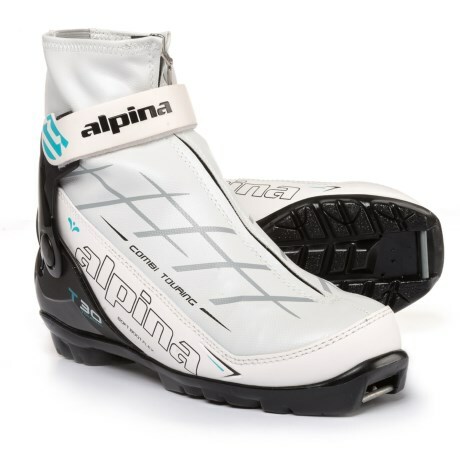 All day touring comfort, the Alpina Eve ST 30 features an ergonomic interior that conforms to the shape of your foot. 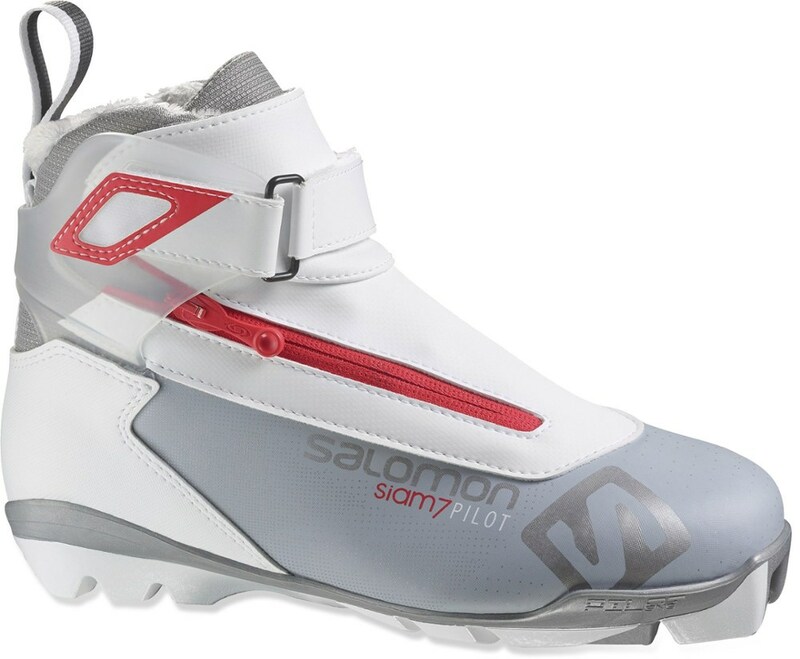 Suitable for both in and out of track skiing.